What a joy it has been to get back into our Five in a Row units! 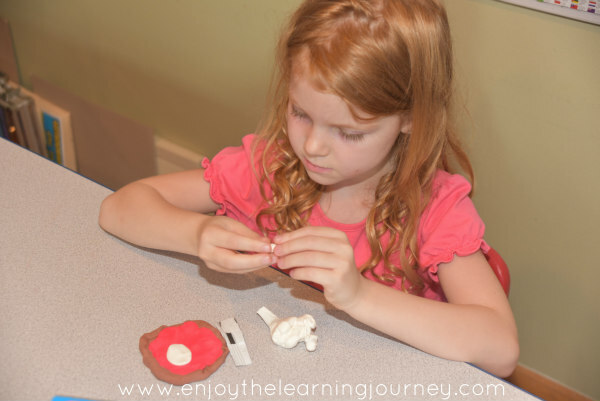 Oh, how I love this curriculum! And the best part? We haven’t even started the school year yet. 🙂 The kids enjoy these units so much they don’t even realize it’s “school”. We’ll be officially getting back into a more regular school routine next week but I wanted to begin our Five in a Row units before then. It’ll help us ease back into things and it really is a a lot of fun. We’ll just keep moving forward reading and exploring together. We had a lot of fun with the activities and supplementary books with this Five in a Row unit. I am not highlighting all that we did because as you know, a lot of what Five in a Row involves is discussions. And it’s not possible to show you that in a blog post. So, I’m sharing with you some of the things we did that are photo worthy and/or we that are in addition to what is suggested in the manual. 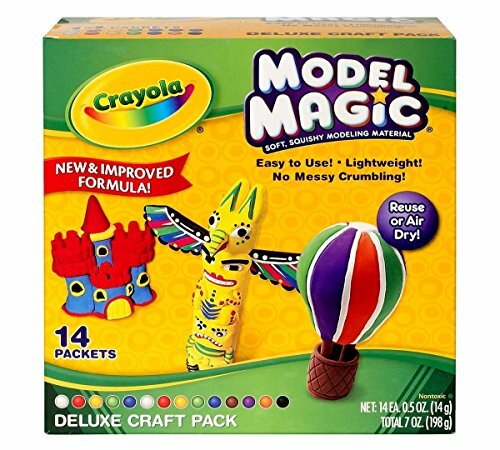 We used Crayola Model Magic Full Disclosure: We earn a commission if you click this link and make a purchase, at no additional cost to you. 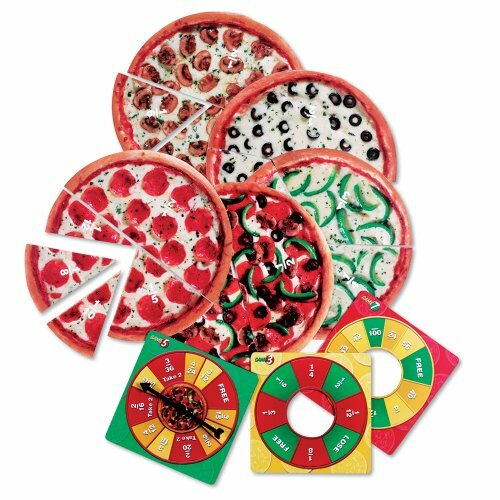 to make fun little pizzas. 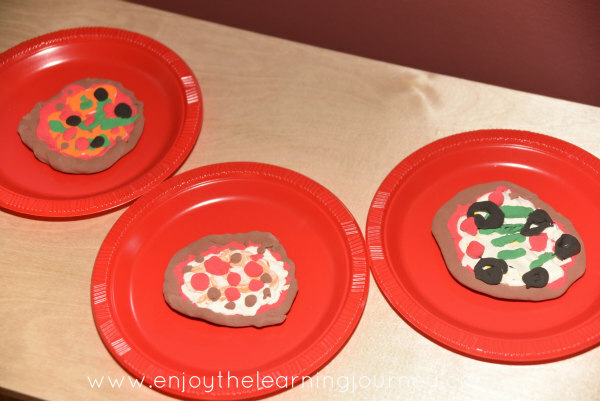 I got the idea to make Model Magic pizzas from Art Projects for Kids. I showed the kids the picture for inspiration and they got to work. This was a simple activity that took about 20 minutes for them to create. 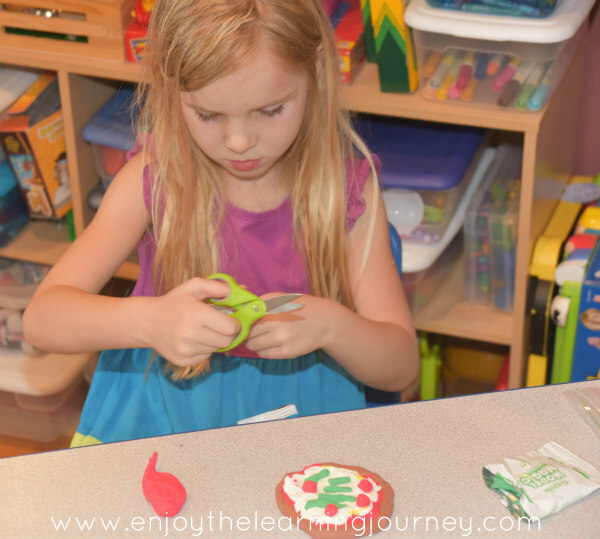 They enjoyed it and their little model pizzas turned out so cute! 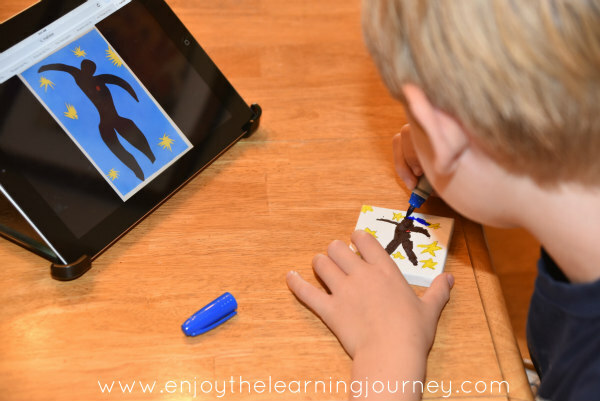 In the FIAR manual, one of the suggestions was to compare the illustrations to Matisse’s work and so we took a day to talk about Matisse and complete a project that represents his style. 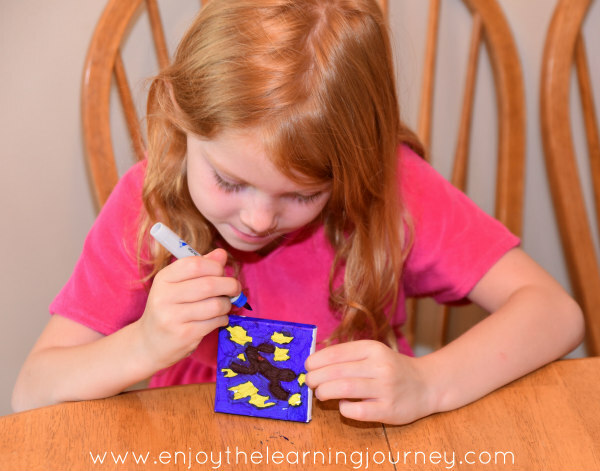 First we read Matisse the King of Color by Laurence Anholt and then we completed a Sharpie “painting” on a mini-canvas. 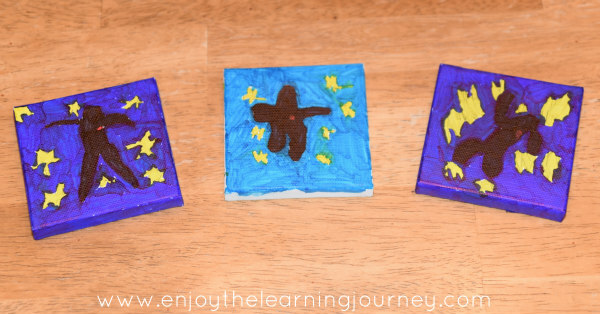 This was another art project suggested on Art Projects for Kids (it’s a great site with lots of art project ideas so be sure to check it out). I had the children look at the Matisse original and then create their own version. 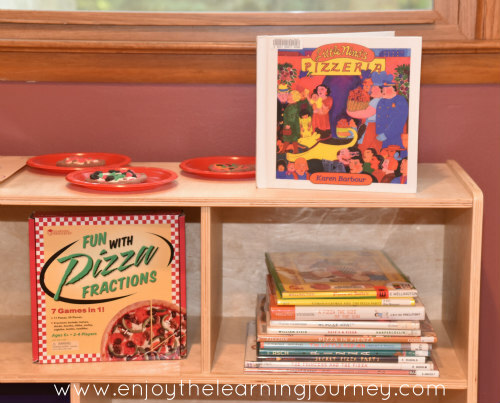 We have the Learning Resources Pizza Fraction Fun Full Disclosure: We earn a commission if you click this link and make a purchase, at no additional cost to you. game so we played that a couple of times during the week. It was a great way to expose Jenna and Alaina to fractions in an enjoyable way. And of course we made our own pizza! 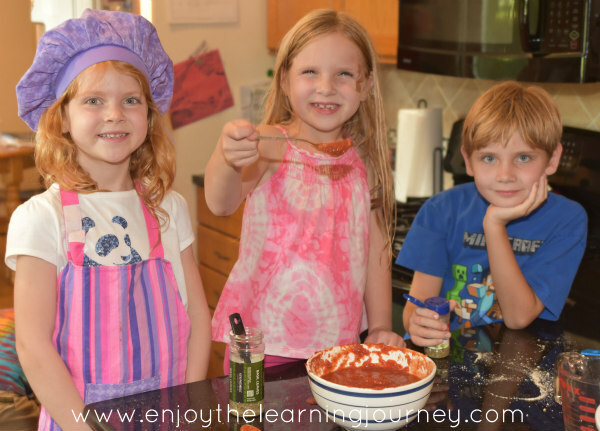 I had originally imagined that we would mix our own dough and make the sauce from scratch but when life gets crazy and hectic you have to improvise, right? So, I just bought premade crusts and we made our own sauce. 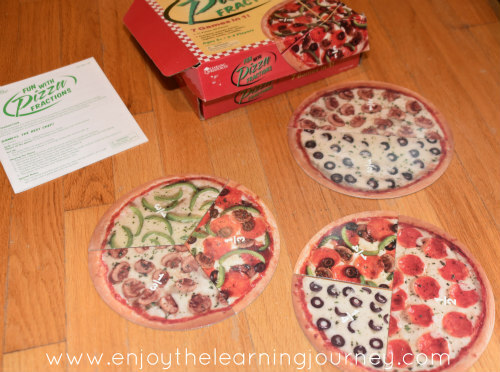 The kids enjoyed putting the pizzas together! 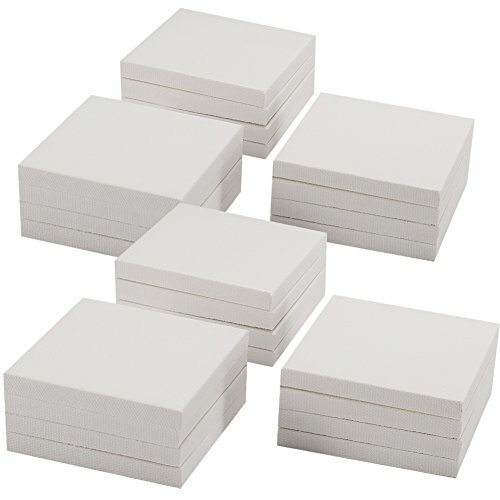 We are going to be doing a lot more notebooking this year so I invested in a lifetime membership at NotebookingPages.com. 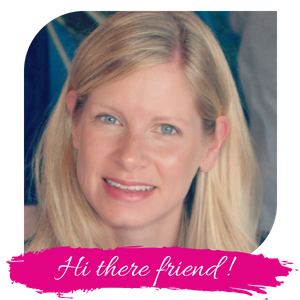 If you think this might be something you are interested in they have a bunch of free pages with their free Notebooking Pages product sampler. 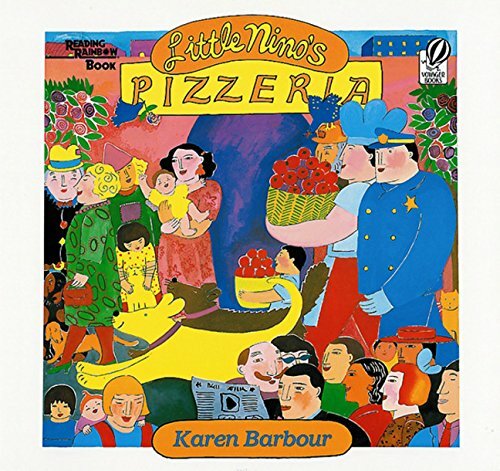 For notebooking with this unit I just had the kids retell the story of Little Nino’s Pizzeria at the end of the week. 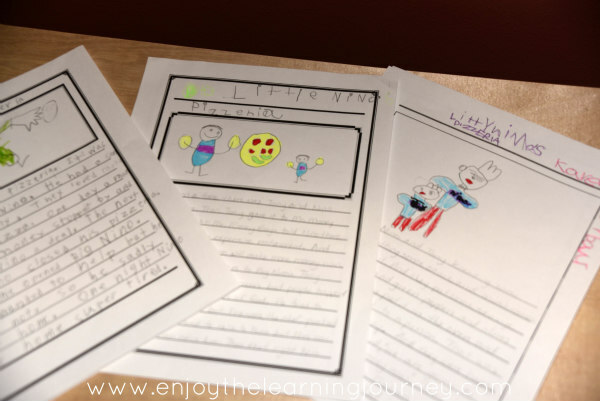 I scribed for Jenna and Alaina (age 5, almost 6) and Kellan (age 8.5) wrote his own. They also drew a picture to go along with it. 🙂 I used one of the standard pages from the Notebooking Pages site. 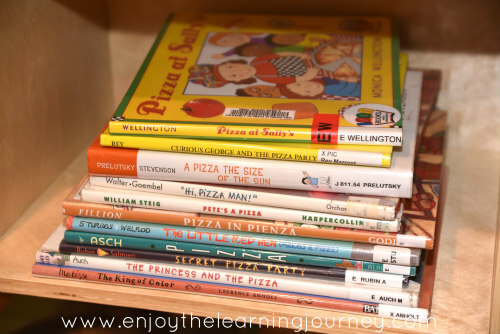 I really don’t want to overdo it with supplementary books for the FIAR units this year but there were so many great pizza books that I just couldn’t help myself! Most of these are short reads and because we aren’t doing any other “school” work right now it was easy for us to read through all of these. 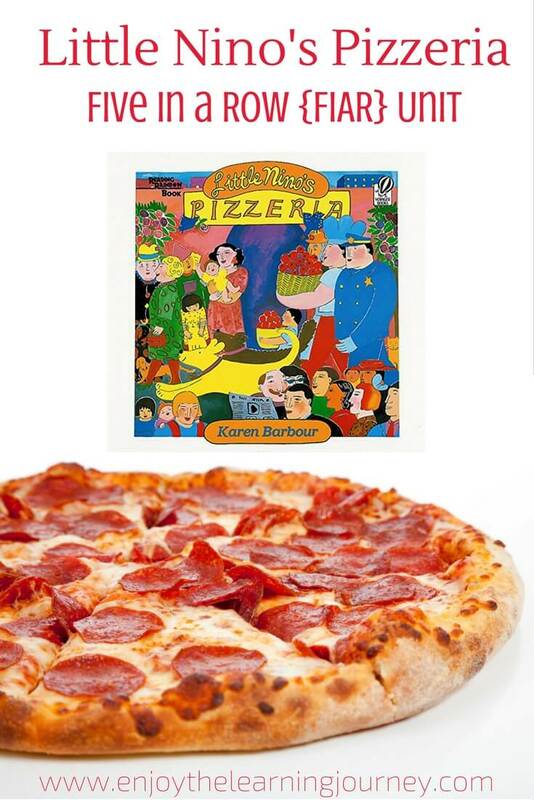 A Pizza the Size of the Sun by Jack Prelutsky ~ we just read a few poems out of the book and not the whole thing.